Will and Dot tried to find manuscripts to suit our interests based on our personal statements. I had said I was interested in representations of material texts in popular medieval literature, and accordingly, they had planned to give me a mid-fourteenth-century French copy of the Roman de Sept Sages (Ms. Codex 931). Due to its lack of binding, however, they decided on LJS 184, a late thirteenth-century Spanish copy of Isidore of Seville’s Etymologiae. I doubt they knew about my fascination with the Etymologiae, but their decision turned out to be perfect for my interests because LJS 184 actually contained a text within the text — a legal document that had at one point been glued to the manuscript’s wooden back cover. Stating only that LJS 184 contained a “loose pastedown,” the catalog record in Penn in Hand made no mention of the fact that there was writing on this parchment. I could tell that it was some kind of Latin legal document written in a later hand than the main text. Hoping that it contained valuable provenance information, I became obsessed with deciphering it. Unfortunately, the document was in pretty bad shape: about half of the ink remained on the parchment, and the other half had been transferred to the wood, leaving us with one faded, fragmentary version of the text, and another blurry, upside-down, mirror-image version. It was maddening. There was just enough ink to give the illusion of decipherability, but not enough to actually yield results. I spent the first night after class playing with the contrast and clarity of the digital image in Photoshop. Remarkably, the enhancement was sufficient to reveal a few legible words, most notably the names Aragon and Domeng[us] and a date! Well, the promise of a date. I could read an[n]o d[omi]ni clearly enough, but the numbers that followed appeared all but gone, and the corresponding text on the back cover was a blob. The next day I showed my images and transcriptions to Will, and he too became fascinated by the prospect of a date. He managed to acquire a small UV light, which, despite its dying batteries, was able to reveal traces of the faded iron-gall ink. 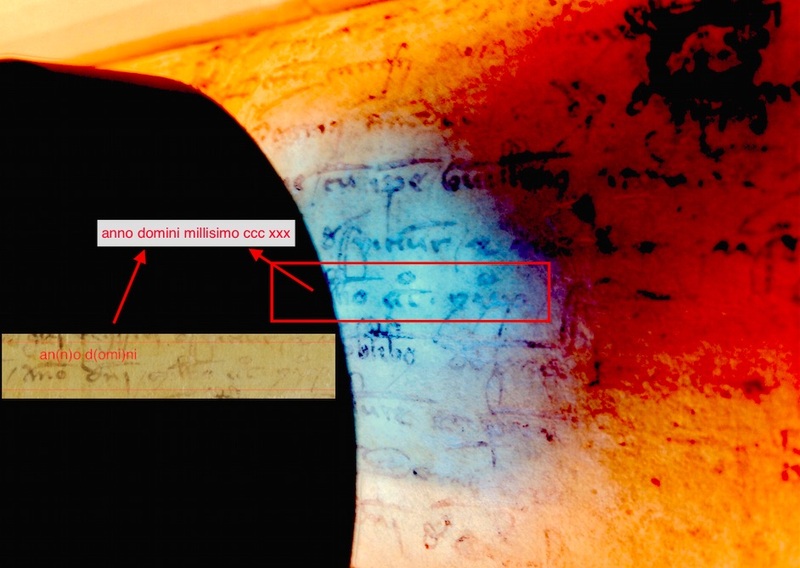 The date was still unclear, but with further enhancement of a photo of the UV-illuminated text, I could could make out milli[ssim]o ccco xxxo (1330). This was very intriguing because it did not fit with the manuscript’s history according to the catalog record, where it stated that the covers were original to a manuscript composed ca. 1265-1290. My next mission was to determine whether we had the composition date or the binding’s history wrong. but given a date of 1330 for the covers, either the covers were not original or the manuscript was composed thirty to fifty years later. The answer seemed to lie in a misnumbering of Books IX and X, which I believe is evidence of the manuscript’s being rebound sometime during the Middle Ages (discussed in greater detail here). 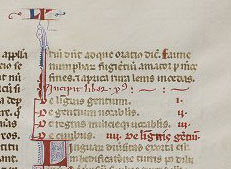 In the transition from Book X to XI, the original rubricator appears not to have seen the scribe’s instructions on fol. 77r to write explicit liber ix, incipit liber x. The instructions were almost destroyed when the parchment edges were trimmed in preparation for (what I presume was) the book’s first binding. The absence of the explicit/implicit in the text seems to have caused a later medieval owner to label Book X as Book IX all the way through until he or someone else realized that the content of fols. 84v and 85r marked a transition to Book XI. The hand responsible for the upper-right-hand labels, as well as the style of the corresponding decorative headers, are clearly medieval, but the explicit/implicit rubrication on fol. 77r must have been added by someone other than the original rubricator(s). The most likely explanation for the misnumbering and addition of decorative headers seems to me to be that the book was rebound a second time in the Middle Ages, most likely with wood covers it has currently. This account of LJS 184’s binding history was an educated guess at best. However, my conclusions were corroborated by the evidence uncovered during a previous rebinding of the book. Quite by chance — literally through a vague, late-night Google search — I came across a remarkably comprehensive account of the preservation work done on LJS 184 in 1990 by Abigail B. Quandt of the Walters Art Gallery. 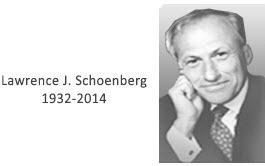 The paper was published years before Larry Schoenberg acquired the manuscript, and nobody seems to have realized that the manuscript being discussed was LJS 184, since it was then under different ownership and discussed without a shelfmark. I was only able to make the connection based on the grainy black and white pictures included in the article. Quandt’s findings during her deconstruction of the manuscript proved vital to understanding the discrepancy between the date discovered on the pastedown and the presumed date of the manuscript’s composition, as she uncovered evidence of the book’s having been bound in alum-tawed leather sometime before it acquired its wooden covers, although she was unable to determine when the binding had been changed. Quandt was also responsible for separating the pastedown from the wooden cover and identified it as a somewhat later Latin legal document, she was unable to read any of the text in 1990. Now, however, we can say with some certainty that the wooden binding was put on ca. 1330-1400. These new discoveries about LJS 184 were only possible because of the increased access to manuscripts and academic articles made possible through digital technology. Most obviously, I could not have deciphered any of the pastedown without access to high-quality digital images and modern Photoshop. Although the UV light was necessary to recover the date, it is possible that someone more experienced and using better software could have achieved the same results with digital images alone. Additionally, none of the information about the previous preservation would have been available to us if AIC had not published their journal online so that anyone could freely access it. 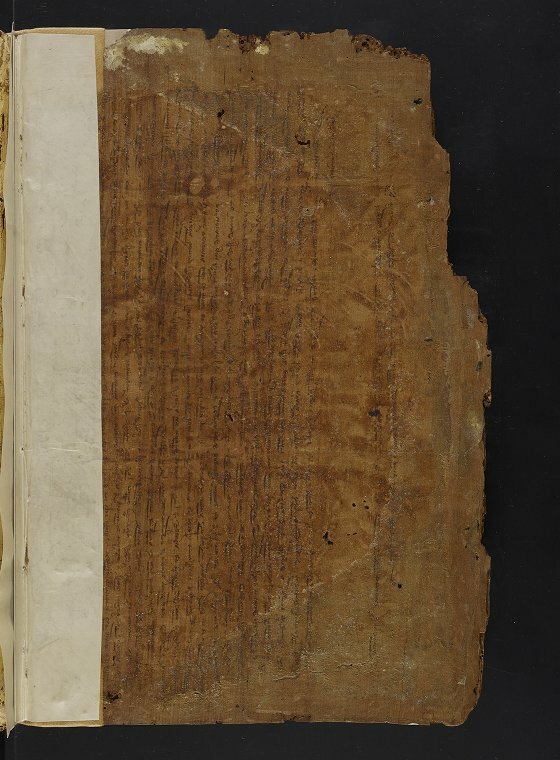 Furthermore, my inability to compare the pastedown to other fourteenth-century Spanish legal documents speaks, I think, to the need for institutions to digitize everything in their collections, not just the large or beautiful texts that they deem most valuable. I had hoped to compare the pastedown to other similar documents, but the Biblioteca Nacional de España had not digitized any of their more ephemeral collections. It was great that they had digitized a contemporaneous Etymologiae, but when dealing with unique artifacts like any manuscript, it is impossible to know what might be valuable to future research: the only solution, so far as I can see, is to digitize everything and make it freely accessible online. Digitization is not perfect, of course, but it makes the best of a difficult situation. For one thing, it is impossible for a digital surrogate — no matter how high quality — to replicate the original artifact. My ability to work directly with such an incredible manuscript as LJS 184 was, without a doubt, one of the most meaningful experiences of my graduate studies. Even if I had known beforehand that it contained a text within a text, I doubt I would have been as drawn to LJS 184 if I hadn’t also had the immersive sensory experience of actually holding the codex — of feeling its weight and the auctoritas implied by its sheer size, of smelling its eight centuries of history, even of seeing that one red ink was different from another because it sparkled while another was matte. The digital images are just so one-dimensional and cold by comparison! Similarly, there is no substitute for the communal experience of working with others to uncover the history hidden within a book. I’m sure I will never forget how much fun it was to spend two-plus hours in a darkened room working with Isabella and Amey — manuscript and UV light on the table, Photoshopped image of the text projected on a large LCD monitor, Capelli and an already transcribed Spanish notarial document for reference — until we were finally able to decipher almost a complete sentence of the pastedown. While digital images and invaluable tools like T-PEN make it possible for scholars around the world to work simultaneously on a project, I suspect they will also make it less likely for people to come together in the same room to decode a manuscript. On top of all this, of course, are the pragmatic problems of digitization for institutions, such as the expensive equipment and copious time required to digitize archival materials. Unfortunately, I imagine these constraints will only worsen as funding for humanities research takes a backseat to STEM programs (even though the two fields could obviously have a symbiotic relationship in projects like this). Nevertheless, digital surrogates are, at present, the best solution to very real problems like the rarity and geographic isolation of manuscripts, and the financial constraints of scholars (especially grad students and postdocs) who want to study them. I was incredibly fortunate to be awarded a research fellowship from my institution to attend RBS this summer, since there is no way I could have paid for it with my stipend alone. I hope to return someday to work with some of the Middle English manuscripts in UPenn’s collection, but it won’t be feasible anytime soon. So, in the meantime, I have been trying to learn as much as possible from the digital facsimiles — and it’s possible to learn quite a lot. My home institution, the University of Rochester, happens to have a large collection of medieval legal documents. Our digitization efforts in Rare Books & Special Collections are still in their early stages — and priority has been given to our more substantial holdings pertaining to Susan B. Anthony and Frederick Douglass — but I have been making a strong push since my return for digitizing the medieval “ephemera” and making all of our current and future digital materials completely open-access like OPenn. When we do get around to the medieval items, I hope to be directly involved. Attending RBS M-95 changed my academic path in at least two ways. First, the experience made me realize that what I really want to do after grad school is work in archives. Second, it helped me refine my research interests in popular representations of material texts: LJS 184 turned out to be a concrete realization of the dynamic interplay between the multiple documentary cultures of the Middle Ages — the idealized but relatively rare auctoritates like Isidore’s Etymologiae, and the increasingly ubiquitous, semi-ephemeral documents with which most people would have contact — both of which evoke certain associations and anxieties when they appear (often side by side) in popular literature, which itself comprises still another documentary culture. I don’t have any firm ideas about it yet, but it’s more direction than I had at the beginning of the summer, and it’s been incredibly useful for focusing my ideas as I prepare for comps.